Not gonna lie these two men have like changed my world. I am in love with both of them ...DON'T JUDGE ME THEY ARE BOTH TALENTED!!!! but this song is just like idk it just makes me wanna dance lol. 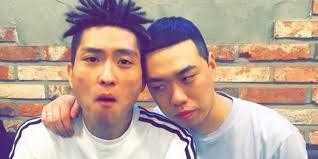 Labels: BeWhy, CJamm, It's my Birthday and I'll I turn up when I want.